Most Malaysian have a thing about looking at the price before they buy anything. This is a good practice to compare and save money. However, when it comes to buying a tech gadget, especially a laptop, the cheapest may not be the right solution for you. To make it easier, we have gathered four laptops with similar specifications, all under RM2,800 as we believe this is the average price consumers are willing to pay for a decent laptop. With its premium design and smartphone like accessibility, you can work faster than anyone around you with this laptop priced less than RM2,300. With its adequate amount of CPU speed and storage capacity, it can handle your daily computing needs from writing, email, internet browsing to presentations. ASUS A Series notebook also comes with various optimized power modes so you get can get the most out of your battery life. It can even remain in standby mode for two weeks and you don’t have to worry about losing data during that time since it automatically gets backed up when the battery level drops below 5% charge. Acer E15 is another performance packed laptop brand available in six different colors, and is a good choice to support your daily computing needs. The 15.6 HD LED screen is large enough to watch movies and videos with ease supported by the high-octane NVIDIA GeForce 940MX graphic card. In addition, you can connect to the internet faster with its high-performing DDR4 memory. With similar tech specifications like the other three laptops, you can easily achieve your daily tasks with its long battery life of up to 9 hours and it has a chic design too! Well known for its durability, Dell Inspiron offers competitive tech specifications and is also strong but won’t weight you down as it has a light hardware. However, it has a disadvantage of only 500GB storage capacity compared with 1TB of the other models. This is one of the popular place to get the latest electronic gadgets, smartphones, laptops and accessories for Malaysians. You can check out these four models and compare the best price as well as packages offered by various stores at this mall. Just remember to negotiate with the sales consultant and request for upgrades on the graphic card, RAM to 8GB or extra free gifts such as a wireless mouse or extended warranty. If you stay in Petaling Jaya or Damansara, you can visit this mall and compare the models offered by different retailers in the mall. Similar to Low Yat Plaza, you should negotiate for upgrades, free gifts, or price reduction for a better deal. Chances are, you will get what you bargain for. However, there may be a slight difference in pricing for products offered by Digital Mall and Low Yat Plaza. Thus, it will be wise to compare the prices of products from both places to make a better decision. Offering laptops across different brands, you can easily browse and compare the offerings on its page. 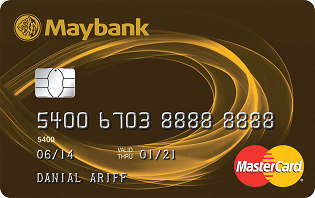 On the plus side, you can get an additional discount based on its seasonal promotion such as Black Friday Sale or partnership with banks such as extra 10% for Maybank card holders on Wednesday (for specific products only). However, you will not be able to bargain for upgrades or free gifts unless it is already stated in the product details. It is definitely a good marketplace to shop for your next laptop if you don’t want the hassle of having to go out and get one. Another great digital platform for you to purchase a laptop or electronic gadgets and the best perk is it offers installment without requiring a credit card! This app is designed to cater to those who do not own a credit card yet wish to purchase gadgets under an installment plan. However, the total price you will be paying for the gadget may be slightly more expensive than the market price (compared to malls and Lazada) due to the credit risk the retailers and the site have to take on. If you are looking to use your credit card to buy your next dream laptop, make sure you know how to take advantage of instalment plan and earn extra cashback to reward yourself. There are many ways to get the best value from your shopping with the right credit card!